European Central Bank Governing Council member Francois Villeroy de Galhau expressed some optimism about the euro-area economy, reiterating a projection that foresees growth rebounding later this year. The comments come after Europe’s economic distress was one of the key topics debated during the International Monetary Fund’s meetings last week. The Washington-based lender had cut its projections for growth in the region once again after Italy succumbed to recession and Germany’s manufacturing slump -- partly driven by weakening export demand -- reverberated through the region. Still, he urged the French government to pursue growth-enhancing reforms, while taking into account the need for more sustainable public finances. 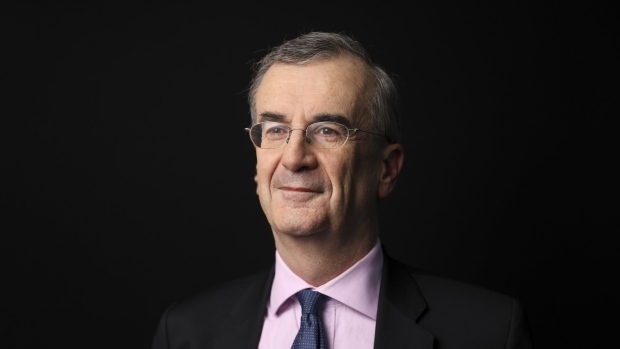 Villeroy said the ECB is “clearly determined to maintain an ample degree of monetary accommodation for as long as necessary” to return inflation toward the institution’s goal of just below 2 percent. He see euro-area price growth slowing this year, before gradually recovering.